And Quickly Than You Ever Thought Possible!" Did you ever wish you could just push a button or listen to a subliminal tape and inject years of piano playing skills into your brain? Well, guess what?! The piano teaching "establishment" has been around for hundreds of years, and although there are new technology and teaching methods, the basic approach hasn't changed all that much. Why? Maybe people are afraid to change. Maybe they think it's somehow required that you go through years of lessons, exercises, scales, blah, blah, blah before you should be allowed to sound good on the piano. Yes, I said a DAY. Finding you on the internet was the greatest piano blessing that I have discovered. Purchasing your product is the BEST MUSICAL INVESTMENT that I have spent my money on in the last 3 years. And believe me... Over the past 3 years I have invested literally thousands of dollars in CD's, Tapes, Books, Music Lessons. Your program has simplified, what I have exhausted myself searching for. I am a disabled veteran, so I have much time to practice, study and research. I literally spend 4 to 5 hours a day practicing on my Yamaha Piano. For the past 2 years, I have spend $100 each month for music lessons from a very talented music director. Although he is an excellent instructor, (I could say musical genius) he sometimes teaches over my head. (And I consider myself to be intelligent). I have figured out in 3 hours of disecting your section on 13th Chords, what has bewildered me with his methodolgy of instruction. Dont get me wrong .. I have learned a great deal from him, but your program has regenerated my enthusiasm and has uplifted my spirits and given me great encouragement. I finally genuinly feel that there is light at the end of my tunnel. It all makes sense now. You have filled in the gaps, and I am able to do this at my pace. I thank you again, and would highly recommend your product to anyone that is serious about learning to play music on a keyboard or piano. Your guide to professional-sounding chords is nothing short of brilliant! I have been in bands semi-professionally for years as a singer-guitarist, and now in later years I have enjoyed playing piano around home as a hobby. Your informative guide is a terrific teaching tool, but perhaps your follow-up e-mails are even more "key", since they serve as further incentive for someone to pitch in and get this stuff learned. Your information, together with your follow-up program is the best I have seen in terms of communicating how music works, especially to those who are intimidated by notes, staffs, clefs, rests, etc. In my case, I have always been able to "hear" the chords I wanted - now that I have your book, I am able to play most of them as well. Thanks, Bill, for sharing this absolutely terrific knowledge. "But All I Want To Do Is Play My Favorite Songs!" Have you looked at any of the latest foreign language courses available these days? If not, you should. Why? Most of the good ones use a kind of immersion approach to learning the language - they just start talking in the new language and teaching you words and phrases as you go. That way, you start speaking and understanding as quickly as possible. Think about it...you don't need 937 grammatical rules to ask "Which way is the toilet?" in Spanish! I believe the same should be true of piano. So, what does that mean? ...wouldn't you be interested in learning how to do that as quickly as possible? I use VERY LITTLE MUSIC NOTATION in this guide. The most you'll have to learn to do is read a melody on the treble clef in the key of C.
That's what's most important, right?! It's called a lead sheet, and it's what most professional pianists use at one time or another. You'll also learn how to apply the same techniques to other songs you may learn. I can honestly say I've managed to pack 6-18 months worth of piano lessons into one 60+ page guide, but in a very focused way, a practical way. So, Who The Heck Is This Piano Chord Guy? But why should you listen to me anyway? My name is Bill Romer, and I've been playing piano since I was about 5 years old - making that over 35 years now. For the first 15 or 20 years, I mostly sightread music, but then I started to feel very confined and controlled by piano sheet music, so I decided to study jazz piano, which opened up a whole new world for me - not just in my playing, but in the piano jobs I could play, and the people I met. Since that time, I've played for ballet classes, country club dinners, festivals, church services, private parties, community theatre, and most recently, dueling piano bars. I've also taught both adults and children in traditional lessons and popular piano workshops. I love popular piano music, and I like for my playing to sound professional, without sounding too "out there" or avant garde, if you know what I mean. Anyway, all that is just to say that I LOVE playing piano, and most people tell me it shows. I've done my best to bring that love and passion to my piano chord guide, and I'd be honored if you would allow me to share it with you. The absolute fastest way to learn any new chord, so you can play it the instant you see the chord symbol. The single 3-chord progression found in 70-90% of all popular music that just might change the way you listen to and play music on the piano forever. The very special chord that can open the doors to a whole new world of piano playing (it did for me) - and exactly how and when to use it. Exactly where to play chords on the keyboard so they sound the best - not too muddy, and not too thin, but just right. A VERY simple method for adding bass notes to your beautiful new chords - it may look overly simple, but it can make your playing sound like a true professional in no time. secrets to professional-sounding piano that very few people learn how to do properly - except for you! Alterations and substitutions for the basic chords that give exciting new "flavors" to virtually any song you play. These Basic Chords - I Guaranteed That! OK, So Get To The Bottom Line Already! I'm sure you're wondering by now how much this useful, information-packed guide is going to cost you, right? Honestly, I had a hard time pricing it myself. Why? Secondly, I spent nearly $1000 on intermediate and advanced level piano lessons to learn most of the techniques I share in this guide. And that was nearly 20 years ago! Heck, these days, a professional half-hour lesson will set you back at least $30, so when you consider that this guide covers the equivalent of 16+ full half-hour piano lessons, that makes this guide worth at least $480! I've decided to keep the price low. How low? In order to get these powerful piano principals into the hands of as many eager students as possible, I've decided to offer this fantastic value for only $27! Because this is a completely electronic guide (where you print it out yourself, if you like), and doesn't require all the overhead associated with a traditionally published book, I'm able to keep the cost so very low. So ... what do you get for just $27? starting from the most basic chords and building gradually to those beautiful, complex chords you hear the pros play. Detailed chord charts - both in the guide and in a separate chord chart file - showing you exactly what piano keys to play for each chord - no need to worry about complicated sheet music. Detailed guidance on voice leading - the magic ingredient to make all your chord transitions sound smooth and professional. Notation written on a real, professional lead sheet - you'll see exactly what the pros see when they sit down to the piano. And, if that's not enough -- there's also absolutely no risk! 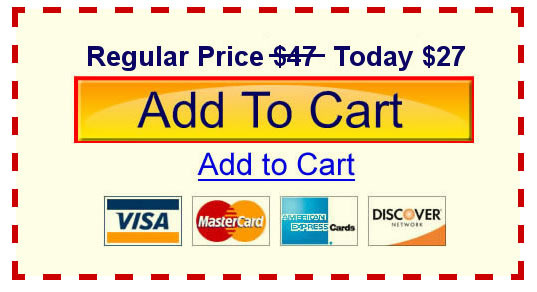 Your "Professional Piano Chords For Everyday Pianists" guide comes with a no-questions-asked 100% Money-Back Guarantee. If for any reason, you decide that "Professional Piano Chords For Everyday Pianists" just isn't for you, you'll get every penny back. In fact, I'm so confident you'll be fully satisfied with "Professional Piano Chords For Everyday Pianists" that I'm willing to let you actually keep the report, no matter what – as my way of saying thank you for trying "Professional Piano Chords For Everyday Pianists". So, you see, you have absolutely no risk in ordering "Professional Piano Chords For Everyday Pianists" – all the risk is on me! 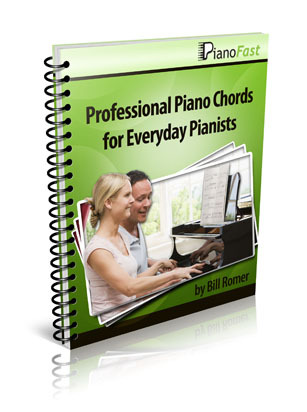 "Professional Piano Chords For Everyday Pianists"
"Professional Piano Chords For Everyday Pianists" is a digital e-book. You'll instantly download it as an easy-to-use PDF file, which opens like the pages of a book on all Windows and Mac computers, using either the free Adobe Reader or other widely available PDF viewing software. It can also be printed out for ease of reading. When you click the order button below, you'll be taken to the secure order system. Our products are sold by Clickbank, a trusted online retailer specializing in digitally delivered products. Buying through this secure system is much safer than most offline credit card purchases. After your payment, you will be taken to a download page where you can get your report with a right click of your mouse. It's that easy! I have a really good feeling about this course: there is much more to it than meets the eye. I set myself tasks from your example, and it is fun to do! Thank you for this course, I hope it is going to be the beginning of more exciting play! I have only had time to read a few pages after printing out the book, but I am delighted already!!! ALREADY it sounds like someone else is playing, not me. Ha ha. Just a line to thank you for the course. I think it is absolutely amazing for the pittance I paid, and I particlarly like the links to various archives, which allow me to listen to some incredible performances.The lessons are first class, and hopefully will inject some musical sense and structure into my efforts. Thanks once again for such a comprehensive musical package. Well, the decision is yours...months of more lessons, expensive piano courses, and time spent trying to find that "magic" sound, or my completely guaranteed, $27 guide, "Professional Piano Chords For Everyday Pianists." Whatever you decide, I hope your love of the piano continues for many years, as mine has. May the piano bring you harmony and happiness, now and always. PS: Don't you owe it to yourself to find the fastest, easiest route possible to the most interesting, beautiful, rich-sounding professional piano chords? Check out my guide today and you'll be sounding like a pro before you can play a C major scale!